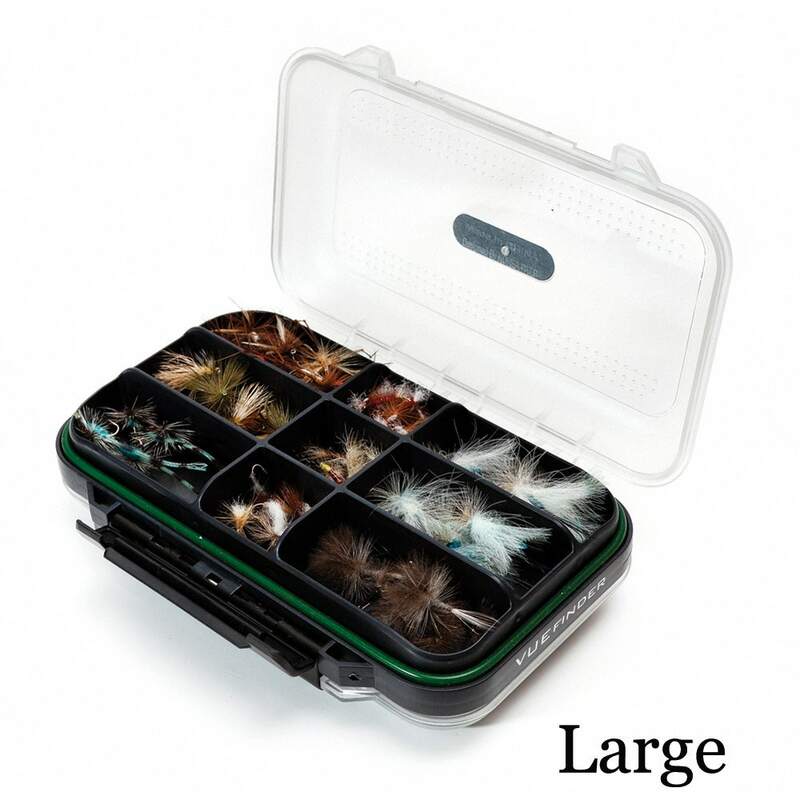 Waterproof dry fly compartment box with clear sides so you can see your flies. Sizes Available : Double Compartment or Compartment/Slots configurations. 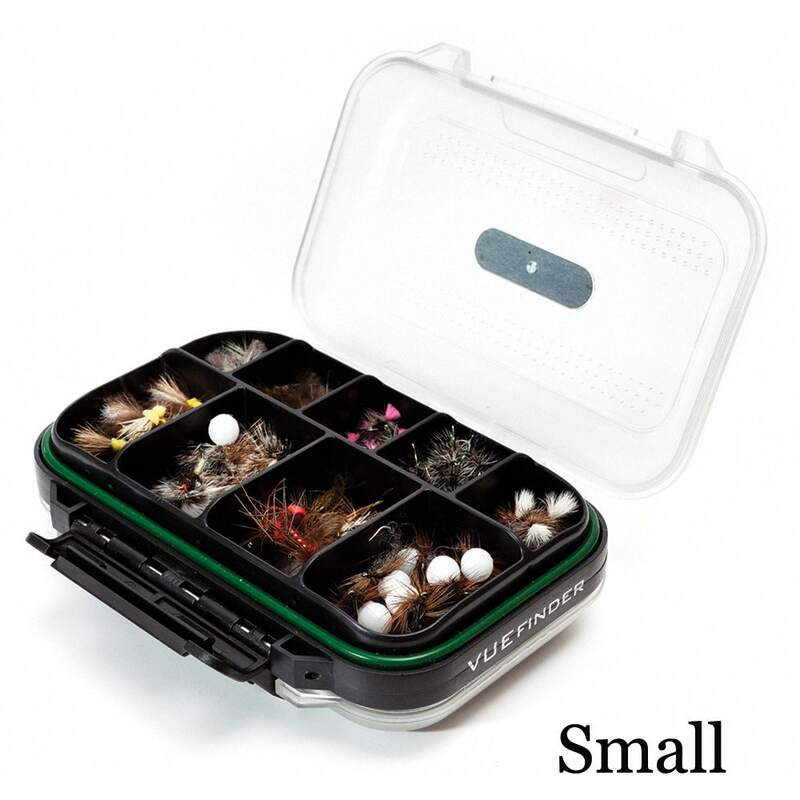 A new clear lid concept fly box, aiding the correct selection of flies when stored alongside numerous other boxes in your luggage. 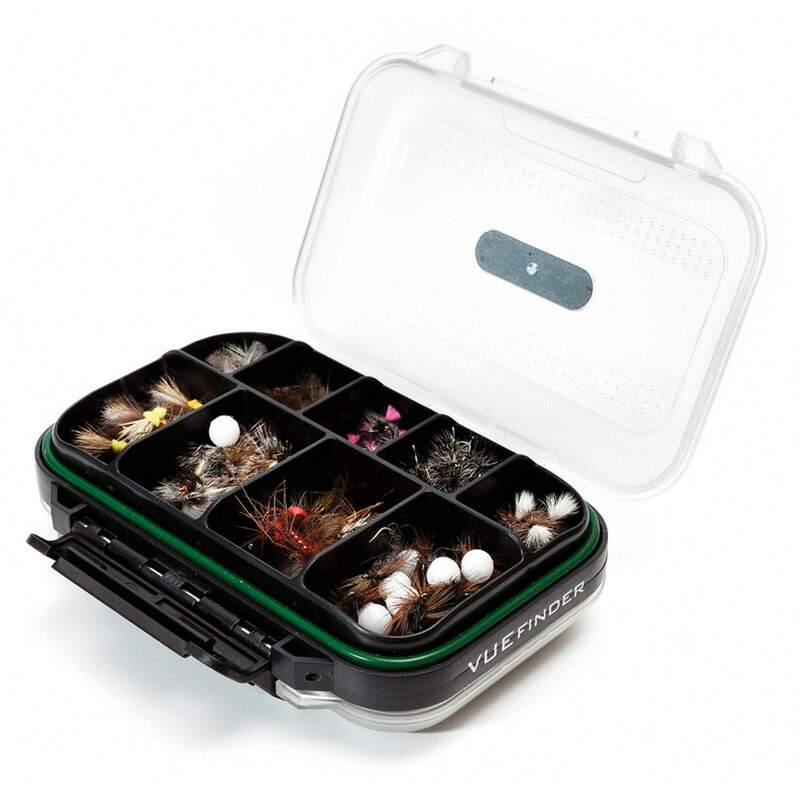 The clear high density polycarbonate lids also provide fantastic durability, handling and water resistance when coupled with the rubber seals.